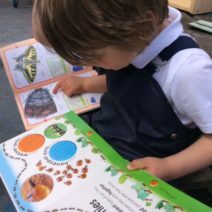 What's in our wild wonderful world? 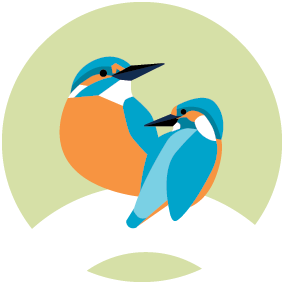 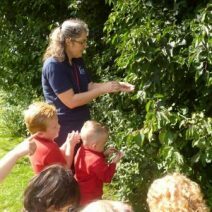 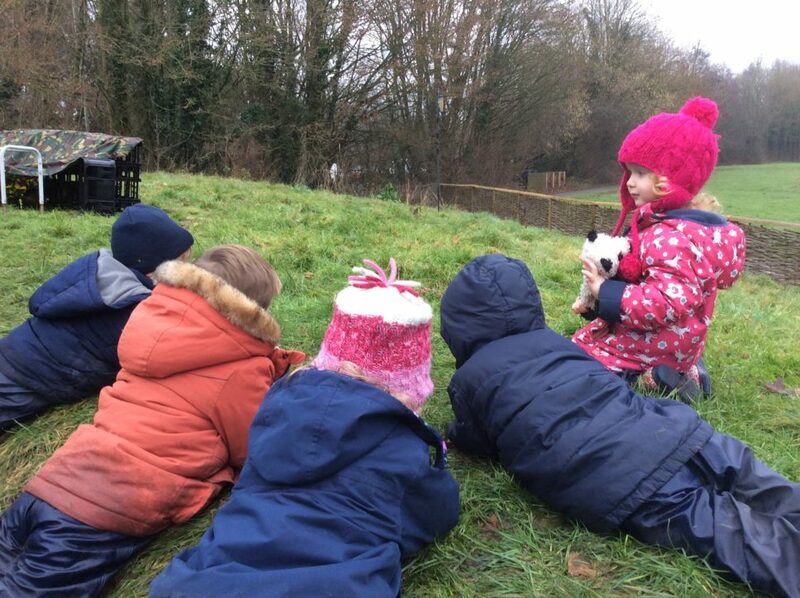 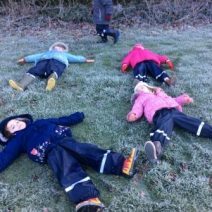 When we speak to parents on home visits, they always tell us that their child is most confident outdoors; playing on their own, with others and developing their imagination and curiosity so naturally, we are keen to embrace this style of learning. 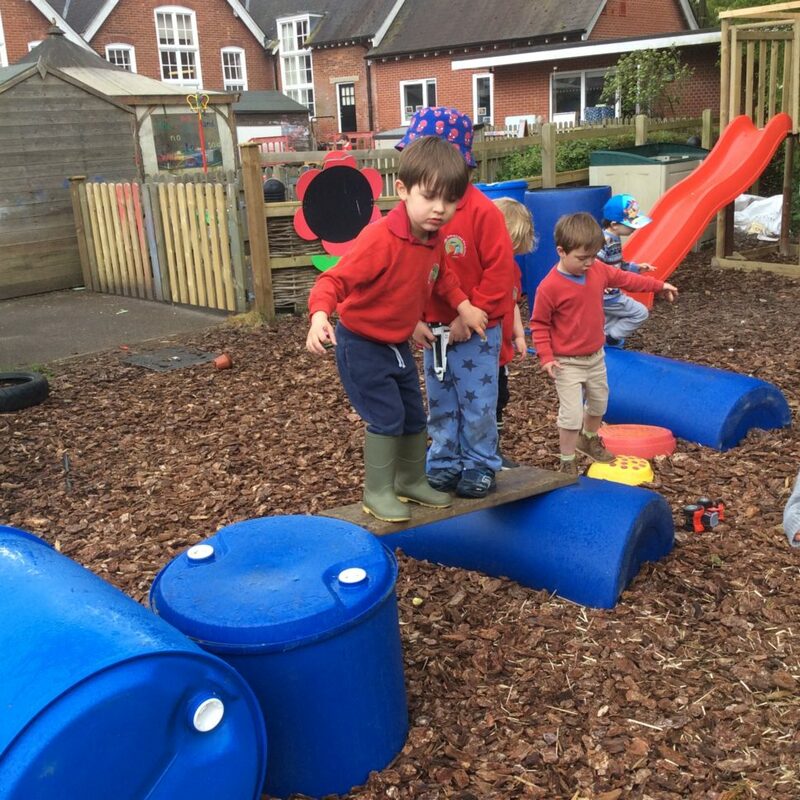 Our amphitheatre space provides children with a safe, encouraging space to explore and try new things, problem solve and investigate and extend the boundaries of their comfort zone which in turn, fosters a high sense of self-esteem and teamwork – there’s nothing quite like that beaming smile on a child’s face when they’ve achieved something they didn’t think they could do. 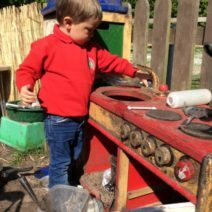 From our youngest children who pick up and explore things through sensory play to our older children who are the biggest enquirers and constantly asking how and why questions (! 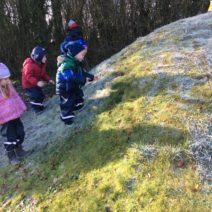 ), the outdoors is the perfect place to learn and explore. 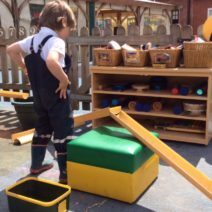 The simplest of objects – a cardboard box or a plank of wood can become a gateway to exploring how to cross a river or ocean, can become rockets, boats, planes or a secret door to a an undiscovered world. 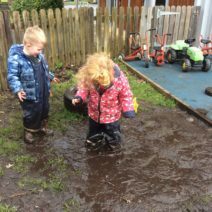 Encountering an environment where children can be as messy as they like leads to curious exploratory play – what happens when we mix mud and sand? 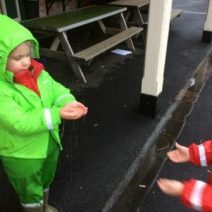 water and flour? 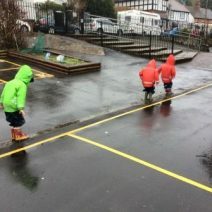 all four? 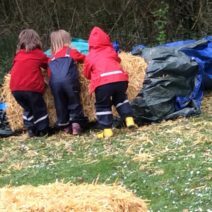 We’ve got the suits, we’ve got the mud kitchen and we’ve definitely got the mud! 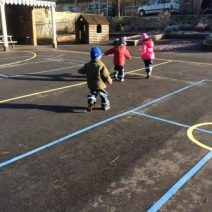 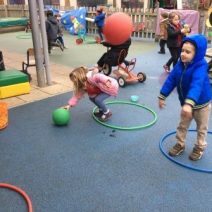 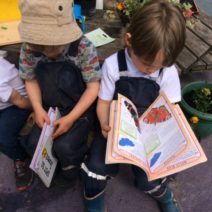 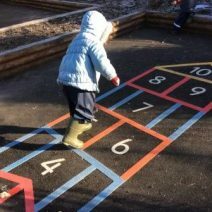 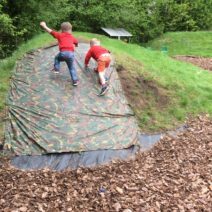 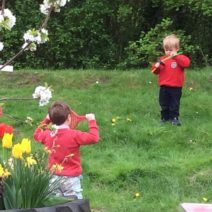 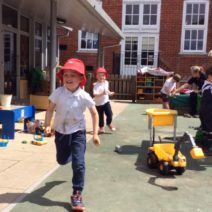 "I love how the pre-school has embraced the great, mucky, wet, fun outdoors with the new play area." 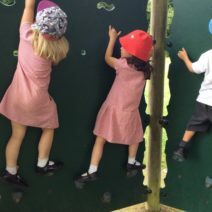 parent of a 3 year old.